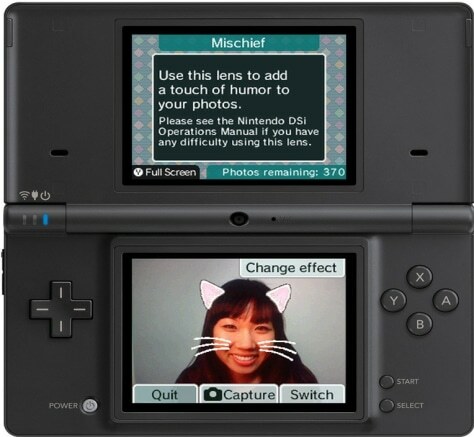 Preteens think Nintendo DSi is cool — will you? Nintendo's new DSi gaming handheld ($169.99) comes with two cameras, one installed on the outside of the clamshell and one installed on the inside. You can edit photos and add silly things like cat ears and whiskers. Kids will dig it, but photo buffs ... not so much.